Implementation of the current Honors Study Topic should be the primary focus of Scholarship Hallmark programs. Other activities may include tutoring, mentoring, and projects recognizing scholarship among students and/or faculty. To be competitive, chapters should be able to clearly define their Scholarship Hallmark goals for both the primary focus (Honors Study Topic) and secondary focus (mentoring, tutoring, etc.) of their Scholarship Hallmark program. Chapters will also be asked to describe the specific outcome of their Scholarship Hallmark program, including who benefited and how they benefited, as well as the growth of the chapter and others. 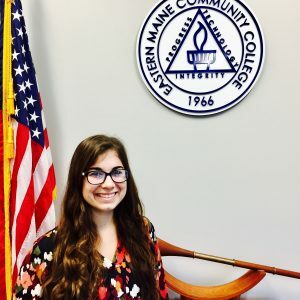 In an effort to promote scholarship the Eastern Maine Community College PTK chapter has established an endowed scholarship fund that is growing as we speak. The goal of this fund is to recognize students who embody the mission and goals of Phi Theta Kappa.